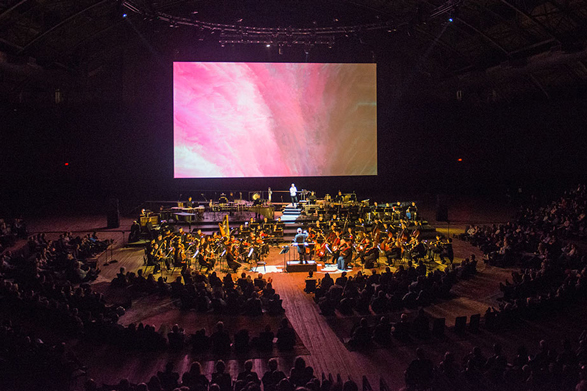 Across a crowded contemporary musical landscape, Finnish composer Kaija Saariaho stands apart with her sensual, expansive soundscapes. 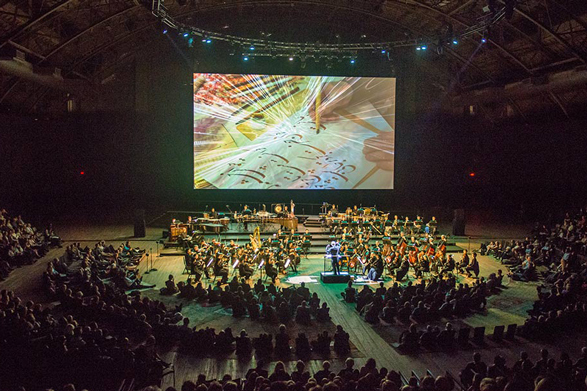 A composer of immense imagination, her spellbinding scores evoke luminous color and emotional depth while being full of new instrumental techniques that often blend acoustic instruments with subliminal electronic manipulation. 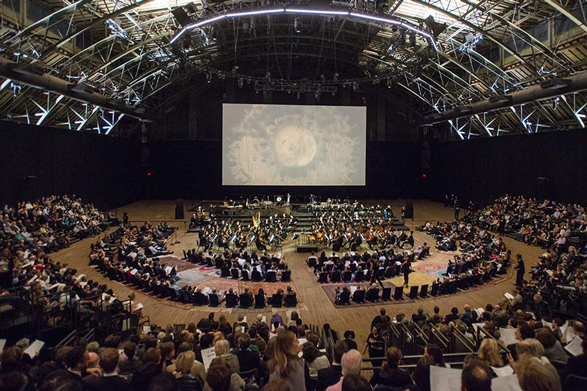 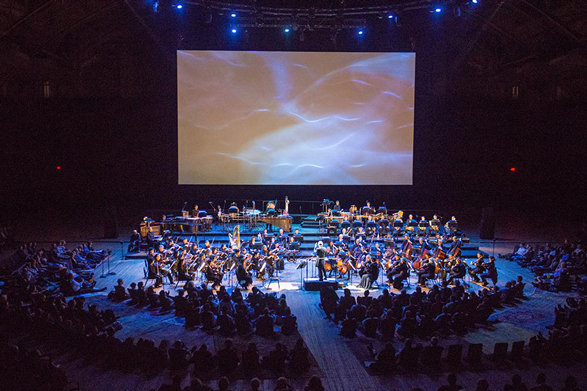 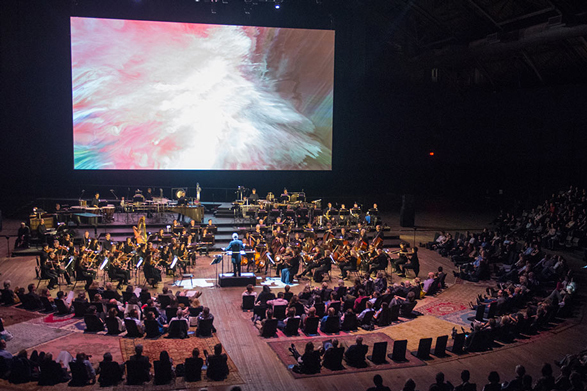 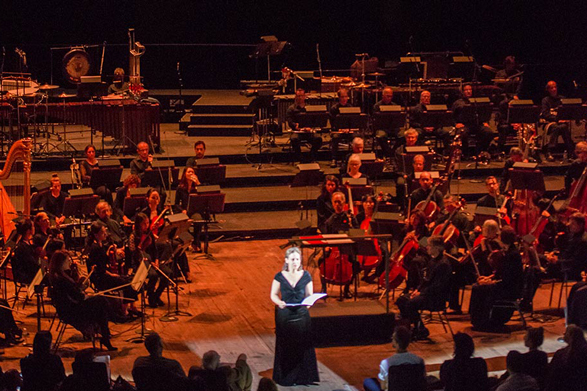 After dazzling Armory audiences with their program of spatial music in 2012, the revered New York Philharmonic returns, this time under the baton of the Philharmonic’s Marie-Josée Kravis Composer-in-Residence and Saariaho’s fellow countryman Esa-Pekka Salonen, for performances of some of her seminal works that need to appropriate a massive space and require surround sound for their full realization. 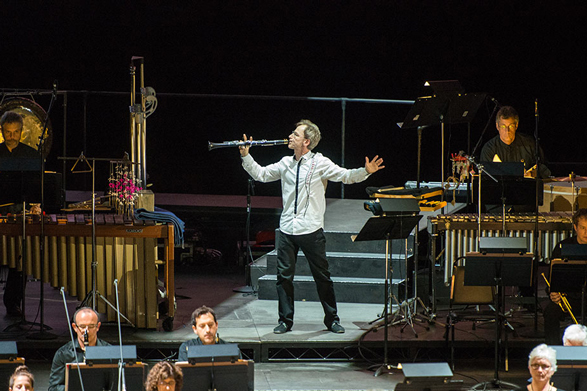 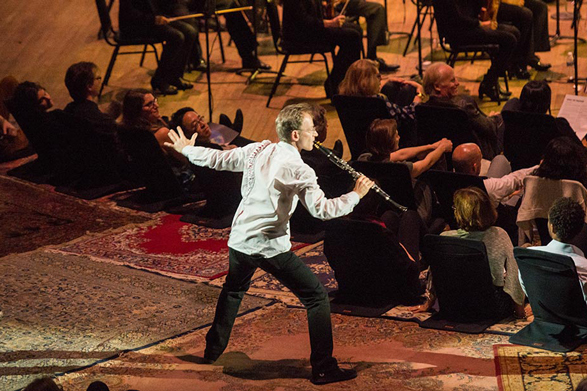 The program features the New York premieres of Circle Map, a new work for orchestra and electronics that builds out from six stanzas by the 13th-century Persian poet Rumi, and D’om le Vrai Sens, written for and performed here while moving through the audience and orchestra by clarinetist Kari Krikku. 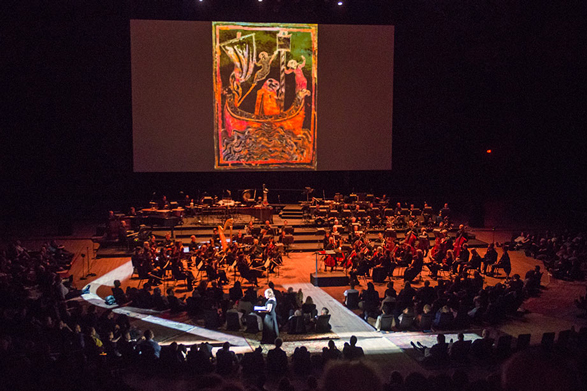 The evening also includes the U.S. premiere of Lumière et Pesanteur as well as Lonh, a work that combines medieval love poetry sung by rising soprano Jennifer Zetlan with an electronic score that manipulates sounds from nature to evoke a distant, luminous landscape. 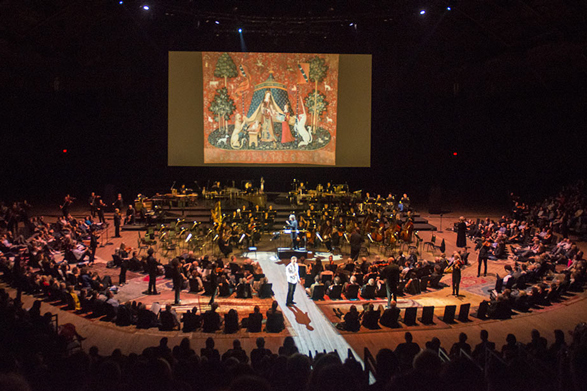 Circle Map is supported in part by public funds from the National Endowment for the Arts.